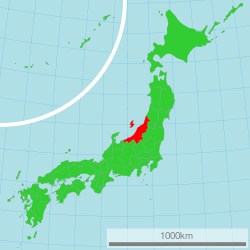 Niigata Prefectur (新潟県, Niigata-ken) is a prefectur o Japan locatit on the island o Honshū on the coast o the Sea o Japan. 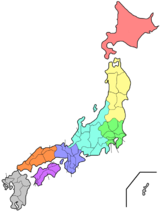 The caipital is the ceety o Niigata. The name "Niigata" leeterally means "new lagoon". Wikimedia Commons haes media relatit tae Niigata Prefectur.